4600601 MF 1000 MASSEY FERGUSON MF 1000 wheel tractor. Spare Parts Catalog. 4600602 MF 1004 MASSEY FERGUSON MF 1004 wheel tractor. Spare Parts Catalog. 4600603 MF 1004 MASSEY FERGUSON MF 1004 wheel tractor. Spare Parts Catalog. 4600604 MF 1007 MASSEY FERGUSON MF 1007 wheel tractor. Spare Parts Catalog. 4600605 MF 1010 MASSEY FERGUSON MF 1010 wheel tractor. Spare Parts Catalog. 4600606 MF 1014 MASSEY FERGUSON MF 1014 wheel tractor. Spare Parts Catalog. 4600607 MF 1020 MASSEY FERGUSON MF 1020 wheel tractor. Spare Parts Catalog. 4600608 MF 1024 MASSEY FERGUSON MF 1024 wheel tractor. Spare Parts Catalog. 4600609 MF 1030 MASSEY FERGUSON MF 1030 wheel tractor. Spare Parts Catalog. 4600610 MF 1030 MASSEY FERGUSON MF 1030 wheel tractor. Spare Parts Catalog. 4600611 MF 1035 MASSEY FERGUSON MF 1035 wheel tractor. Spare Parts Catalog. 4600612 MF 1040 MASSEY FERGUSON MF 1040 wheel tractor. Spare Parts Catalog. 4600613 MF 1045 MASSEY FERGUSON MF 1045 wheel tractor. Spare Parts Catalog. 4600614 MF 1080 MASSEY FERGUSON MF 1080 wheel tractor. Spare Parts Catalog. 4600615 MF 1085 MASSEY FERGUSON MF 1085 wheel tractor. Spare Parts Catalog. 4600616 MF 1100 MASSEY FERGUSON MF 1100 wheel tractor. Spare Parts Catalog. 4600617 MF 1104 MASSEY FERGUSON MF 1104 wheel tractor. Spare Parts Catalog. 4600618 MF 1105 MASSEY FERGUSON MF 1105 wheel tractor. Spare Parts Catalog. 4600619 MF 1114 MASSEY FERGUSON MF 1114 wheel tractor. Spare Parts Catalog. 4600620 MF 1120 MASSEY FERGUSON MF 1120 wheel tractor. Spare Parts Catalog. 4600621 MF 1125 MASSEY FERGUSON MF 1125 wheel tractor. Spare Parts Catalog. 4600622 MF 1130 MASSEY FERGUSON MF 1130 wheel tractor. Spare Parts Catalog. 4600623 MF 1134 MASSEY FERGUSON MF 1134 wheel tractor. Spare Parts Catalog. 4600624 MF 1135 MASSEY FERGUSON MF 1135 wheel tractor. Spare Parts Catalog. 4600625 MF 1140 MASSEY FERGUSON MF 1140 wheel tractor. Spare Parts Catalog. 4600626 MF 1145 MASSEY FERGUSON MF 1145 wheel tractor. Spare Parts Catalog. 4600627 MF 1150 MASSEY FERGUSON MF 1150 wheel tractor. Spare Parts Catalog. 4600628 MF 1155 MASSEY FERGUSON MF 1155 wheel tractor. Spare Parts Catalog. 4600629 MF 1160 MASSEY FERGUSON MF 1160 wheel tractor. Spare Parts Catalog. 4600630 MF 1165 MASSEY FERGUSON MF 1165 wheel tractor. Spare Parts Catalog. 4600631 MF 1180 MASSEY FERGUSON MF 1180 wheel tractor. Spare Parts Catalog. 4600632 MF 1190 MASSEY FERGUSON MF 1190 wheel tractor. Spare Parts Catalog. 4600633 MF 1200 MASSEY FERGUSON MF 1200 wheel tractor. Spare Parts Catalog. 4600634 MF 1204 MASSEY FERGUSON MF 1204 wheel tractor. Spare Parts Catalog. 4600635 MF 1205 MASSEY FERGUSON MF 1205 wheel tractor. Spare Parts Catalog. 4600636 MF 1210 MASSEY FERGUSON MF 1210 wheel tractor. Spare Parts Catalog. 4600637 MF 1215 MASSEY FERGUSON MF 1215 wheel tractor. Spare Parts Catalog. 4600638 MF 1220 MASSEY FERGUSON MF 1220 wheel tractor. Spare Parts Catalog. 4600639 MF 1225 MASSEY FERGUSON MF 1225 wheel tractor. Spare Parts Catalog. 4600640 MF 1230 MASSEY FERGUSON MF 1230 wheel tractor. Spare Parts Catalog. 4600641 MF 1233 MASSEY FERGUSON MF 1233 wheel tractor. Spare Parts Catalog. 4600642 MF 1235 MASSEY FERGUSON MF 1235 wheel tractor. Spare Parts Catalog. 4600643 MF 1240 MASSEY FERGUSON MF 1240 wheel tractor. Spare Parts Catalog. 4600644 MF 1250 MASSEY FERGUSON MF 1250 wheel tractor. Spare Parts Catalog. 4600645 MF 1260 MASSEY FERGUSON MF 1260 wheel tractor. Spare Parts Catalog. 4600646 MF 1325 MASSEY FERGUSON MF 1325 wheel tractor. Spare Parts Catalog. 4600647 MF 1335 MASSEY FERGUSON MF 1335 wheel tractor. Spare Parts Catalog. 4600648 MF 1345 MASSEY FERGUSON MF 1345 wheel tractor. Spare Parts Catalog. 4600649 MF 1417 MASSEY FERGUSON MF 1417 wheel tractor. Spare Parts Catalog. 4600650 MF 1423 MASSEY FERGUSON MF 1423 wheel tractor. Spare Parts Catalog. 4600651 MF 1428 MASSEY FERGUSON MF 1428 wheel tractor. Spare Parts Catalog. 4600652 MF 1429 MASSEY FERGUSON MF 1429 wheel tractor. Spare Parts Catalog. 4600653 MF 1431 MASSEY FERGUSON MF 1431 wheel tractor. Spare Parts Catalog. 4600654 MF 1431 MASSEY FERGUSON MF 1431 wheel tractor. Spare Parts Catalog. 4600655 MF 1433 MASSEY FERGUSON MF 1433 wheel tractor. Spare Parts Catalog. 4600656 MF 1433 MASSEY FERGUSON MF 1433 wheel tractor. Spare Parts Catalog. 4600657 MF 1433 MASSEY FERGUSON MF 1433 wheel tractor. Spare Parts Catalog. 4600658 MF 1440 MASSEY FERGUSON MF 1440 wheel tractor. Spare Parts Catalog. 4600659 MF 1440 MASSEY FERGUSON MF 1440 wheel tractor. Spare Parts Catalog. 4600660 MF 1440 MASSEY FERGUSON MF 1440 wheel tractor. Spare Parts Catalog. 4600661 MF 1445 MASSEY FERGUSON MF 1445 wheel tractor. Spare Parts Catalog. 4600662 MF 1445 MASSEY FERGUSON MF 1445 wheel tractor. Spare Parts Catalog. 4600663 MF 1455 MASSEY FERGUSON MF 1455 wheel tractor. Spare Parts Catalog. 4600664 MF 1455 MASSEY FERGUSON MF 1455 wheel tractor. Spare Parts Catalog. 4600665 MF 1500 MASSEY FERGUSON MF 1500 wheel tractor. Spare Parts Catalog. 4600666 MF 1505 MASSEY FERGUSON MF 1505 wheel tractor. Spare Parts Catalog. 4600667 MF 1519 MASSEY FERGUSON MF 1519 wheel tractor. Spare Parts Catalog. 4600668 MF 1520 MASSEY FERGUSON MF 1520 wheel tractor. Spare Parts Catalog. 4600669 MF 1523 MASSEY FERGUSON MF 1523 wheel tractor. Spare Parts Catalog. 4600670 MF 1525 MASSEY FERGUSON MF 1525 wheel tractor. Spare Parts Catalog. 4600671 MF 1526 MASSEY FERGUSON MF 1526 wheel tractor. Spare Parts Catalog. 4600672 MF 1528 MASSEY FERGUSON MF 1528 wheel tractor. Spare Parts Catalog. 4600673 MF 1529 MASSEY FERGUSON MF 1529 wheel tractor. Spare Parts Catalog. 4600674 MF 1531 MASSEY FERGUSON MF 1531 wheel tractor. Spare Parts Catalog. 4600675 MF 1532 MASSEY FERGUSON MF 1532 wheel tractor. Spare Parts Catalog. 4600676 MF 1533 MASSEY FERGUSON MF 1533 wheel tractor. Spare Parts Catalog. 4600677 MF 1540 MASSEY FERGUSON MF 1540 wheel tractor. Spare Parts Catalog. 4600678 MF 1547 MASSEY FERGUSON MF 1547 wheel tractor. Spare Parts Catalog. 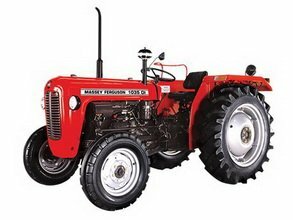 4600679 MF 1552 MASSEY FERGUSON MF 1552 wheel tractor. Spare Parts Catalog. 4600680 MF 1560 MASSEY FERGUSON MF 1560 wheel tractor. Spare Parts Catalog. 4600681 MF 1635 MASSEY FERGUSON MF 1635 wheel tractor. Spare Parts Catalog. 4600682 MF 1643 MASSEY FERGUSON MF 1643 wheel tractor. Spare Parts Catalog. 4600683 MF 1648 MASSEY FERGUSON MF 1648 wheel tractor. Spare Parts Catalog. 4600684 MF 1652 MASSEY FERGUSON MF 1652 wheel tractor. Spare Parts Catalog. 4600685 MF 1655 MASSEY FERGUSON MF 1655 wheel tractor. Spare Parts Catalog. 4600686 MF 1660 MASSEY FERGUSON MF 1660 wheel tractor. Spare Parts Catalog. 4600687 MF 1726E MASSEY FERGUSON MF 1726E wheel tractor. Spare Parts Catalog. 4600688 MF 1734E MASSEY FERGUSON MF 1734E wheel tractor. Spare Parts Catalog. 4600689 MF 1736 MASSEY FERGUSON MF 1736 wheel tractor. Spare Parts Catalog. 4600690 MF 1739E MASSEY FERGUSON MF 1739E wheel tractor. Spare Parts Catalog. 4600691 MF 1740 MASSEY FERGUSON MF 1740 wheel tractor. Spare Parts Catalog. 4600692 MF 1742 MASSEY FERGUSON MF 1742 wheel tractor. Spare Parts Catalog. 4600693 MF 1747 MASSEY FERGUSON MF 1747 wheel tractor. Spare Parts Catalog. 4600694 MF 1749 MASSEY FERGUSON MF 1749 wheel tractor. Spare Parts Catalog. 4600695 MF 1754 MASSEY FERGUSON MF 1754 wheel tractor. Spare Parts Catalog. 4600696 MF 1758 MASSEY FERGUSON MF 1758 wheel tractor. Spare Parts Catalog. 4600697 MF 1759 MASSEY FERGUSON MF 1759 wheel tractor. Spare Parts Catalog. 4600698 MF 1800 MASSEY FERGUSON MF 1800 wheel tractor. Spare Parts Catalog. 4600699 MF 1805 MASSEY FERGUSON MF 1805 wheel tractor. Spare Parts Catalog.